Interesting to watch on a cold snowy evening. Ah so Missa Don. You bring on new thoughts Hi. The White Charcoal is almost " bio graphite ". I have often thought about trying to make it myself using one of these retorts. I have used them and they work great. No smell, last for hours. 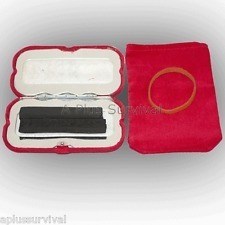 You can put them in your coat sleeves and your hands will stay harm in your gloves. No need to wear heavy insulated bulky gloves. I always wondered how they made those… Hookahs use that stuff on foil to give a long lasting clean heat to slowly burn the product. 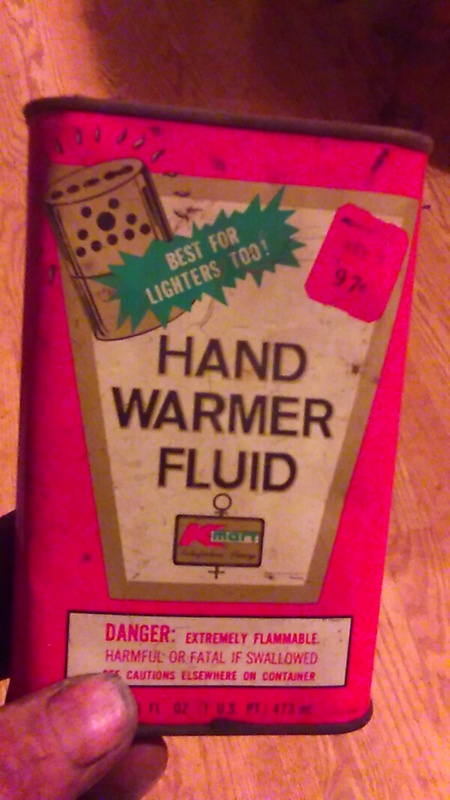 As a kid, I had one of the hand warmers like pictured, but we could never find fuel sources for it. Now I know. Very interesting video. Thanks for the share. 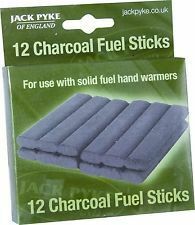 I also had a charcoal hand warmer, worked great, but as Brian noted, fuel was very hard to find. To hear sticks of charcoal ring like metal when struck together is almost unbelievable. Very interesting, Don, thanks for posting. We’ve just had our coldest day this winter, this am it’s freezing rain with 2-4" of snow this pm. The next 7 days will be in the 30’s and low 40’s. Weirdest winter I can remember. I too am interested in making some charcoal. My neighbor has a lot of 3-4’ wood of various diams ready to use when I want. Very detailed construction pics, thanks for posting. I was interested how the charcoal worked out cooking the rice in the video . That was a new one for me too. Can’t wait to hear my wifey scream when I try this. Also using charcoal to keep veggies fresh was new. A piece of charcoal the size of the end of your thumb has the surface area of a football field. I needed a little oven for molding ABS plastic in an off the grid location in Africa so tried charcoal. I built an oven inside of an insulated 5 gallon bucket. Charcoal burns so evenly that it held an even 350F for one hour on one cup of charcoal. Great stuff! The production of white charcoal is thermal process above 700F for longer periods of time. This process is cooking the carbon black down to form new bonds. The conclusion of this process require more heat and pressure and time, but eventually leads to nano tubes Bucky balls and even diamonds. You can make charcoal at lower temperatures, but not graphite and this is what makes the white charcoal ring like metal when tapped together. My retort gets up to 1100F inside and makes ringing charcoal. It is very conductive. Put two car batteries in series and put pieces of my charcoal in jumper cables. Strike together for a super bright and hot carbon arc. I assume the “white” coating comes from the clay that is used to cover the charcoal when it comes out of the kiln. Thanks for the video, Don. Notice the guy with the chainsaw needs some safety training…! Seems like I could hear an interesting guitar tune in that video. Hand warmer fluid. Is this what you mean? The price tag says K Mart. Your making the good stuff Bruce. Do you make sticks too or just large chunks? Graphite has a metallic looking quality too it. I carry a bottle of it at work to blow into looks. At the end of the day my finger tips have a silvery/black metallic shimmer from the keys I handle. I know the ash is said to make it look white but I think some of the reflective shine enhances the white look of it. Bruce, You mind showing us your setup? The white shinny shell comes from a short oxydation with a little air in the sand. Click on the arrow on the right to progress through the slides.